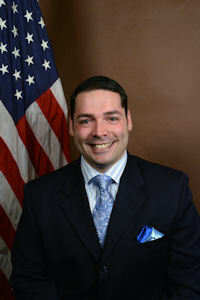 Robert A. Nardolillo III (R) is the State Representative from District 28, Coventry. He was first elected in November 2014. He is a member of the House Committee on Oversight and the House Committee on Environment and Natural Resources. Born July 7, 1979, he and his wife, Jacqueline, have two children, Rocco and Milania. A graduate of the LaSalle Military Academy, Oakdale, Long Island, New York, in 1997, he received an Associate of Arts degree in applied sciences from the Arapahoe Community College, Littleton, CO, in 2002. He is employed by the Nardolillo Funeral Home Inc. of Cranston and Narragansett.